Hog:corn ratio. These handsome creatures were headed to market due to high corn prices. Photo by Mark Steil / Minnesota Public Radio. DURHAM, Arkansas -- There's a sign at the Elkins city limits, "NO JAKE BRAKES." I don't know how many have heard a semi jake-brake down, but you never forget it. It reminds me of that bubble-headed joke Sarah Palin. She shrieks! If she's making a point she emphasizes it by shrieking louder. The "Moose Killer" has become The Shriek. Why the Republican Party, which used to be a well-tended political party, chose this character to carry the banner of conservative ideology is beyond me. She is surely a curse to torture us. And after she used the term "reload," she tried to explain it away, but it means one thing to anyone familiar with guns. Having now vented this fine morning which once again finds me alive, I must move on. President Obama is a bitter disappointment for many of us who are Democrats and probably a few Republicans. Very few. I've written before that no one can compromise with Republicans. They believe that bipartisan means to do it their way. And our President Obama is marching resolutely on doing what the Republicans want done. For starters he introduced a comprehensive reform healthcare package. When the Republicans wanted public option taken out, he took it out. They wanted parts about immigrants changed, so he took those out. And so on. I didn't know who Geithner was, however I had heard of Bernanke. When Obama appointed Geithner my wife exclaimed loudly "not him!" She was right. Those two characters come straight from Wall Street. When I was an undergraduate in the College of Agriculture I took a course in Economics. I don't remember much more than what Debits and Credits are. Debits is money I don't have and credit is something I have too much of. And for whatever reason I remember the Hog:Corn Ratio. I suppose the Hog:Corn Ratio has changed a lot but surely some family farm operations still manage hogs and raise corn. 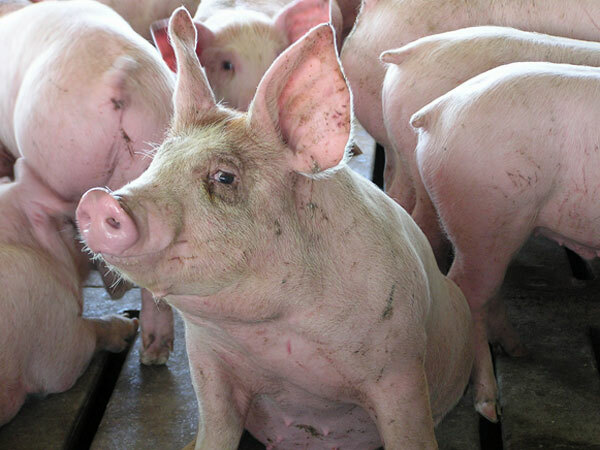 The theory is based on live hog price per 100 pounds divided by the price of corn per bushel. If corn is selling for a low price, feed the corn to the hogs. If the corn has a high price, sell the corn and the livestock. If it's above 20 the profit would lead to raising more hogs. If below 20 it works in a reverse ratio. If you believe that is complicated, try the other economic theory I remember, that of John Maynard Keynes or How To Really Screw Things Up. Mr. Keynes had a theory about how to get out of a recession. It's a beaut. Keynesian Theory puts the idea forward that the private sector cannot keep our economy stable. According to The Concise Encyclopedia of Economics, "full employment could be maintained only with the help of government spending." As I understand it, this theory was used to pull us out of what is called The Great Depression and during WW2. That made ours a War Economy, and it has stayed that way until the present. Accordingly the private sector wasn't investing enough money in the economy during that time so the government -- i.e., us taxpayers -- had to invest more. Meanwhile the private sector figured that if government would take over paying for everything, why should they bother to spend their own money. Thus St. Ronald the Reagan and his buddies came up with the idea of "trickle down economics," in which the government let private industry keep its money, theoretically so that it could afford to hire more people. Didn't work. Corporate executives would rather give themselves bigger bonuses for getting bigger tax breaks from the government. Daddy Bush rightly called this "Voodoo economics." Guided by Geithner and Bernanke, Obama used Keynes as a guide to stimulate the economy by giving stimulus money. AIG, Fannie Mae, and her significant other Freddie Mac, got billions. Keynes would have loved these guys. As I recall my wife and I got a total of $200. It didn't go very far, but it went into the economy nonetheless. The Cash for Clunkers Program also invested in the economy, bailing out banks and the automobile industry. Keeping the Keynes Theory leads to another of my disappointments in Obama. He promised peace and received the Nobel Peace Prize. He sent troops to Afghanistan. Did I miss something here? He says he has a plan for leaving Iraq but with casualties mounting, we will probably have to send in more troopies. The governments of Iraq and Afghanistan are waiting with a handful of gimme and a mouthful of much obliged. Republicans are standing by to dictate which part of bipartisan they don't like. Based on past performances Obama will back off again. My buddy Troll is leaving America to settle in a foreign country. It's times like this when I wish I could just gather my gear and join him. Then there's the oil catastrophe in the Gulf of Mexico. It is so terrible that there are no words to describe it. We are destroying our planet. My wife suggested that the human race are parasites and the Earth is fighting back. Each time I start my car I think about that. Question authority. It's the American way.